According to experts, our hand gestures reveals so much about our personalities. This is why even the popular individuals are not exempted from these theories especially when it comes to their hand gestures and what it tells about them. 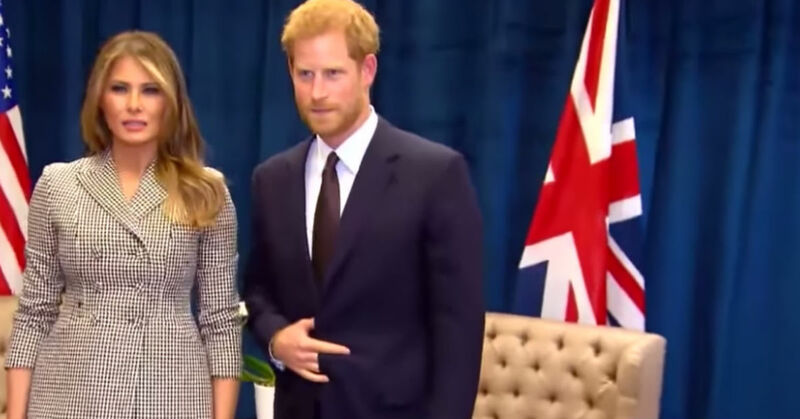 Prince Harry is one of the most talked about when it comes to weird hand placements that people noticed in his photos, even before he got married to Meghan Markle. When Prince Harry and Meghan Markle announced their engagement on November 27, 2017, it has been an exciting moment not only for the royal family but for the whole world! There were a lot of broken hearts but it didn’t match the number of people who were happy for the couple. Everyone was so happy for them and are too excited to know more about the wedding details. Many pictures surfaced the internet showing the excited couple since they made the announcement. Aside from their overflowing joy for the upcoming wedding, people noticed something different with Prince Harry. 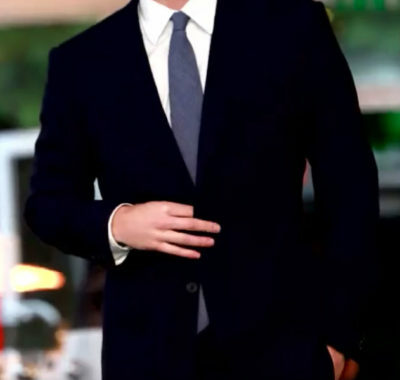 Many of Prince Harry’s photos show of him posing with his hand on his suit button, or sometimes his hand resting on his stomach. What does this mean? Many are questioning if his body language really means something important about him that the Prince is not sharing with other people. Body language experts have been working on and studying these pictures, weighing in their opinions about the strange way that Prince Harry stands. 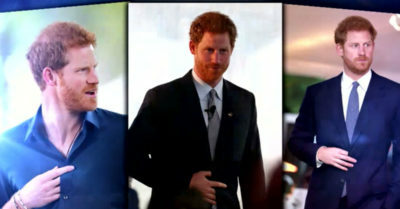 These experts says that this strange stand and hand gesture says a lot about Prince Harry’s personality. Traci Brown, a body language expert, and author, revealed with Good Housekeeping her thoughts and opinions about Prince Harry’s weird gesture. She said that the Prince’s strange habit shows that he is slightly uncomfortable. He’s covering many of the vital organs of his body and by doing this, it shows that he is protecting himself from this awkward situation, and the attention that he’s getting from other people. Blanca Cobb, another body language expert weighed in on Brown’s analysis. She explained that this hand placement is Prince Harry’s way of keeping his guard up. He’s trying to separate himself from this uncomfortable situation and by putting up this physical barrier, it mimics his emotional barrier. However, he is not only protecting himself from this awkward situation but also those who are surrounding him which is why he is standing in such a way especially for his engagement photos. Prince Harry was also seen playing with the buttons of his suit jacket, fiddling with his belt, or sometimes tugging at his clothes. Experts also reveal that these gestures show that he’s uncomfortable subconsciously, or he can be stressed out with the situation. There are times when it is very obvious that the Prince is comfortable and this shows especially if he and Meghan are laughing together. He looks a lot more at ease during these instances. Body experts reveal that our hands are sometimes speaking for us. Everybody “talks” with their hands every now and then and sometimes we don’t even realize it. A few people’s hand-talking or gesturing matches their emotions well. Other individuals tend to make excessively hand gestures that can be distracting. However, others don’t use their hands that much by any means. Regardless of which camp you fall into, it won’t hurt if you show other people how you really feel. But maybe this is different when you are a Prince. You are always expected to be prim and proper, and this might be making Prince Harry uncomfortable.